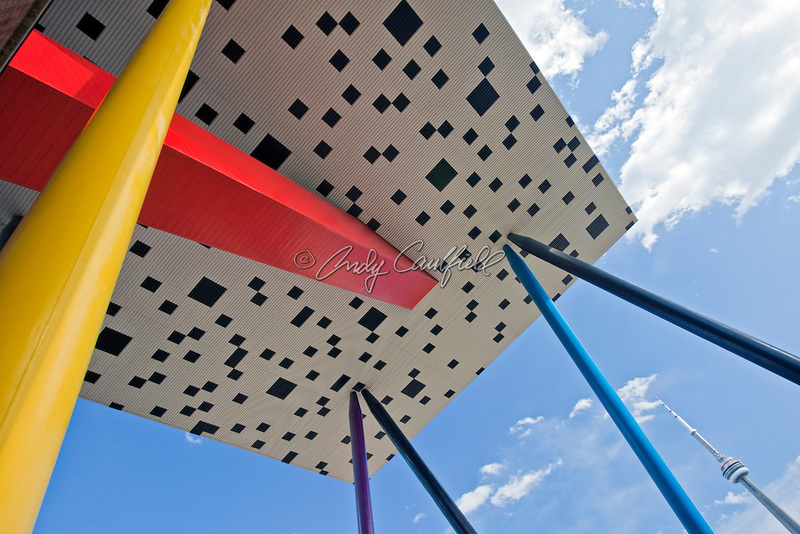 Sharpe Centre for Design at the Ontario College of Art and Design. Toronto, Ontario, Canada .Architects: ALSOP Architects Ltd. and Robbie/Young & Wright Architects in joint venture. Opened 2005.CN Tower in lower right corner of photograph.